Yardscape can provide you with the lawn you have always wanted. Whether it is a weed free lawn for your children to play on or a professional looking lawn for your commercial premises to reiterate what your company stands for, we can provide the solution for you. Using a garden fork or a special spiking tool relieves compaction and helps surface water to drain away. It also allows more air to reach the roots of the grass which aids healthy growth. Make sure the holes are at least 75mm deep - the deeper the better. On heavy soils a sandy top dressing should be brushed into the holes. Autumn is the usual time for this operation. Pay attention to gateways and other areas of concentrated use. The most common disease: Red thread disease makes bleached or pinkish patches on the lawn surface. Very often bright red "needles" are also formed at the tips of the leaf blades. Red thread is often linked to low soil fertility and can be discouraged by speeding up grass growth by giving a feed. Alternatively, use a proprietary fungicide at the recommended rate. Fusarium patch disease tends to occur when the air is mild, still and damp. It causes the leaf blades to collapse and yellowish-brown patches appear on the lawn. This is often a symptom of over-feeding in early autumn. This disease is usually more harmful than red thread and speedy attention with a fungicide (at the appropriate rate) is needed. Small toadstools often appear in the year after turf is laid. They are not damaging to the turf and will die out. Mow regularly and as often as necessary to maintain a neat appearance. The closer you cut, the more often you should mow. For most lawns the mower should be set to cut no lower than 25mm and should be used at least once a week, depending on the growth. Try to avoid leaving the lawn unmown for periods of weeks when the grass is growing fast. 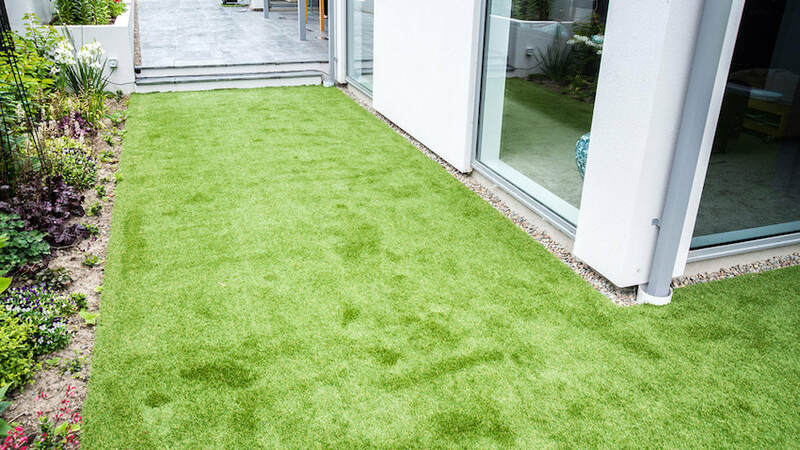 When reducing the height of cut never remove more than 1/3 of the length of the grass. It is best to mow when the grass is dry, but in prolonged wet weather mow when it is wet rather than let the grass grow too tall. Mow in winter if mild periods have encouraged growth. Lawns growing on poor soils need more feeding than those on rich soils. 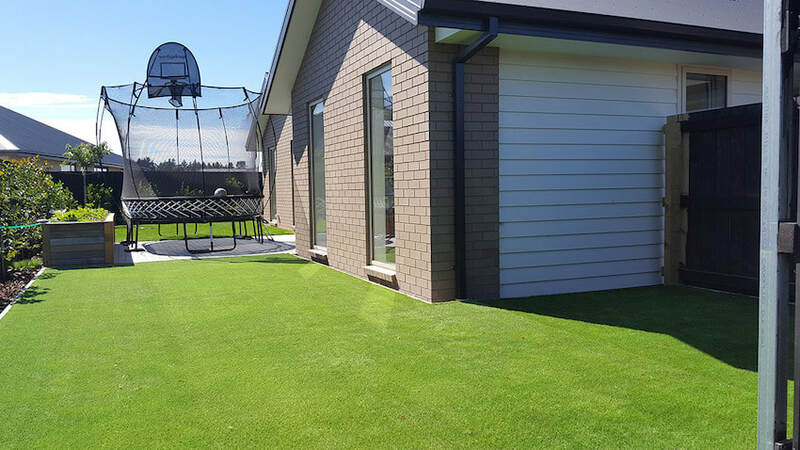 Feed your lawn each spring, summer and autumn with a proprietary slow release lawn fertiliser at the recommended rate. A slow released fertiliser will slowly release essential nutrients to produce and maintain the green colour for months. Moss will develop in a lawn only if the grass is too weak to compete with it. The reason for the weakening of the grass may be waterlogged, compacted soil, mowing too close or too infrequently, inadequate feeding, shading or very dry conditions. The cause should be identified and corrected. For short term control, various chemical treatments are available, but moss will reinvade if the grass is not invigorated. Make sure that your newly laid lawn is never short of water. This is most crucial for new instant lawns, particularly during summer. Water daily until the turf is firmly rooted (about two weeks). After this period reduce the frequency of waterings to encourage the development of deeper and stronger roots. Check that the underlying soil is moist and that rooting is progressing well by lifting the corner of a turf. Weather conditions will dictate the amount and frequency of waterings. 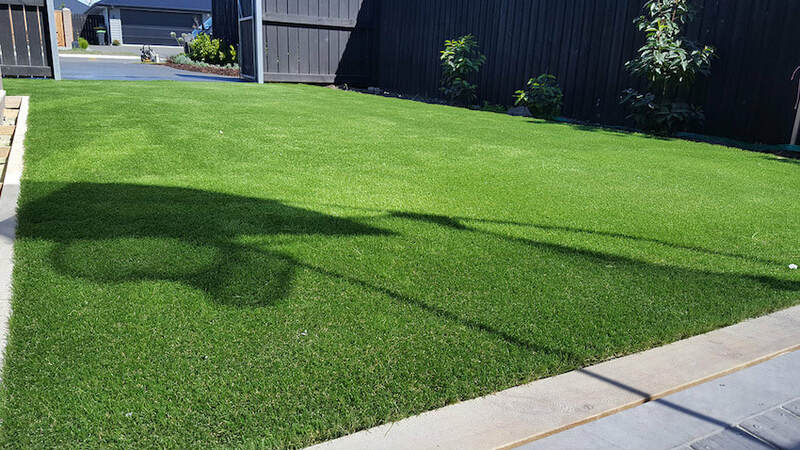 Be certain that your new ready lawn has enough moisture to survive hot, dry or windy periods. Water areas near buildings more often where reflected heat dries the turf. Avoid walking on your newly laid lawn where possible especially after watering. This gives the roots an opportunity to knit together and will ensure that the surface remains smooth until the area is established. Begin mowing once the turf is well rooted. Make sure ground conditions are firm so as to maintain a level surface. Set the mower high so as to remove no more than one-third of the overall height for the first few mowings. Then gradually reduce the mowing height to the desired height. We do not recommend mowing lower than 25mm. Have your mower serviced prior to your first mowing and then at least once a year. Rolling should not be necessary on most soils. A roller should never be used to put right surface irregularities, possibly caused by subsidence. These should be corrected using compost top dressing. The removal of the brown fibrous "thatch" layer which develops between the soil and the grass shoots is not always necessary. Only if the dead material is more than 15mm thick should any attempt be made to remove it. Scarifying can be beneficial to a lawn if done sensibly. It can also be very harmful if overdone. Some types of turf need less scarifying than others. Light raking by hand to raise horizontal shoots is worthwhile from time to time in the mowing season. Decreased light intensity by tree shading weakens turf grasses, not only by reducing the quality of light but also by competing for nutrients and moisture. Prune lower limbs and thin crowns of trees to allow more light to penetrate. Adequately fertilise shady lawns but don't be too excessive with nitrogen. 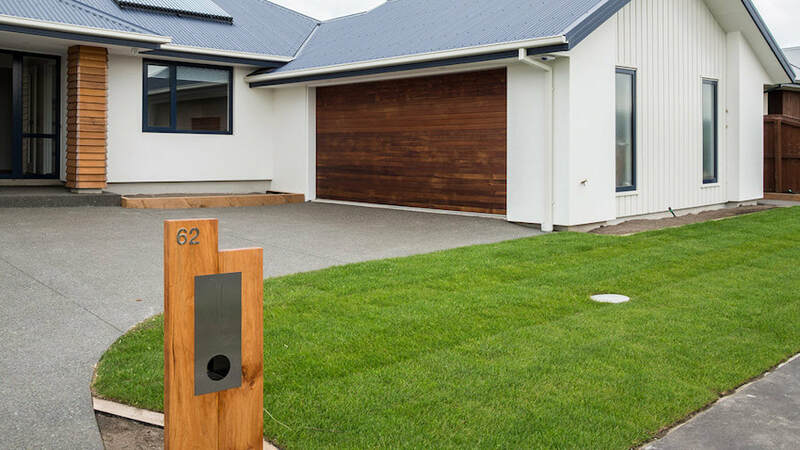 On an established lawn watering is only necessary if you need to maintain a green colour. Established turf will not die if you do not water it, unless your lawn is on thin or very sandy soil. If you intend to water the lawn it should be done frequently for short periods of time. Water the soil until it is moist to a depth of 150mm. Remember do not water in the heat of day as this is when it is least effective due to evaporation. A light shower of rain may not soak through to the soil and may have to be added to by watering. It is inevitable that weeds appear from time to time in the new lawn, spreading from other parts of the garden or from further a field. Remove these by hand or by using a weedkiller specifically for lawns. Make sure that the weeds you want to control are specified by the weedkiller you choose. Always buy a proprietary brand of weedkiller and follow the manufacturers instructions carefully. If you use a 'weed and feed' product, check the instructions in case there are special recommendations for recently laid turf. Begin regular mowing at the appropriate height once the grass starts to grow, clearing twigs and other debris beforehand, to avoid damaging the mower. Trim the lawn edges with a half-moon edging iron or spade. Feed with a proprietary slow release fertiliser in September or October and thereafter as necessary – frequently on poor sandy soils, less often on rich soils – to maintain good green colour. Remember the more you feed the grass, the more the grass will grow and the more often you must cut it. Control worms if necessary. Remove or treat weeds as they are seen. Continue regular mowing. If you go on holiday, get us to cut the lawns in your absence. If trailing stems develop in the lawn, a light raking will raise them and allow them to be mown off. Keep the lawn edges tidy using long handled shears or a weedeater. Water in dry weather to maintain green colour. Continue mowing as long as the grass keeps growing. Watch out for diseases and spray to control them. Remove fallen leaves from the lawn and control worms if necessary. Aerate the lawn if necessary, paying particular attention to paths or heavily worn areas. Use top dressing compost to make good an uneven surface, improve drainage and generally improve the quality of the lawn. If you have a poor soil, an autumn fertiliser dressing may be made. Have the mower serviced while it is not in use. Avoid walking on the lawn if possible when the ground is waterlogged or frost or snow is on the grass. If mild weather allows grass growth, this may be “topped off” to maintain a neat appearance.